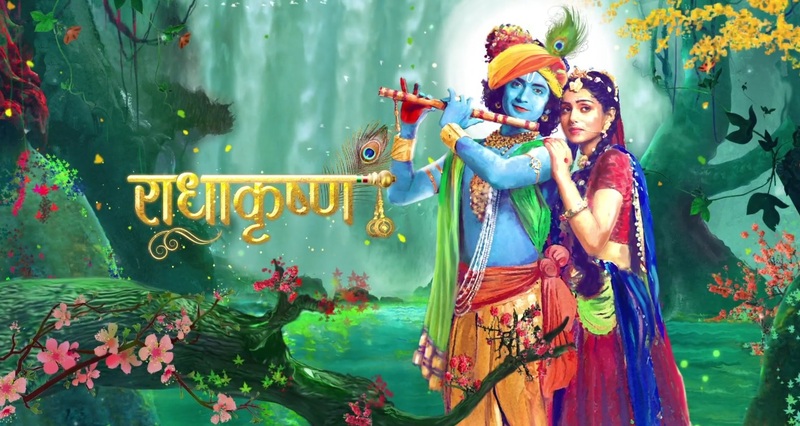 Siddahrth Kumar Tewary’s RadhaKrishn premiered its first episode on October 1st 2018. The first episode of the show was itself impressive, makes you think and understand the symbolical hints of the makers. Siddharth Kumar Tewary, a master in presenting Indian mythology by now on TV, has yet again touched the right chords. The show started off with an argument. Love or worship – Which one of the two is greater? One argument defied the other when a worshipper (Sridama) of Lord Krishna wanted to defy the lover of Krishna (Radha). While everything was beautifully and logically explained, love won in the end and it showed how God also needs to be loved along with worship and that how often in our extreme ‘bhakti‘, we end up dividing and hurting others as well the the Lord himself. Truly an inspiring and jolting dialogue that was. In one word – A brilliant description of the power, significance and importance of ‘Radha’. With stunning VFX, interesting arguments and thought provoking scenes – RadhaKrishn started off with a bang, just like how a Siddharth Kumar Tewary show is supposed to be. An added bonus was to hear Sourabh Raaj Jain’s voice in the beginning introducing the show and explaining how RadhaKrishn and the concept of ‘love’ go hand in hand. Even if you are not a fan of mythology, the first episode would surely provoke your thoughts and make you marvel on the modern execution of mythology. Yeh Rishta Kya Kehlata Hai : Kaira Recreate SRK And Madhuri Magic Again Because, DIL TO PAGAL HAI! Actress Neeru Agarwal of Ye Hai Mohabbatein Passed Away This Morning! March 2019 Update : 10 Most Popular Online Shows Of The Month – Ranked According To Their Daily Tweet Values! Don’t trust the channel much and so gave it a miss!!! !